A university degree in italian literature, another master’s degree in food journalism, a work as a free-lance journalist and food writer for local newspapers, food-guides (Gambero Rosso Editions, Identità Golose) and magazines. A love for all that involves the huge food planet (from kitchenware to books, foods from all over the world and films). Here I am. 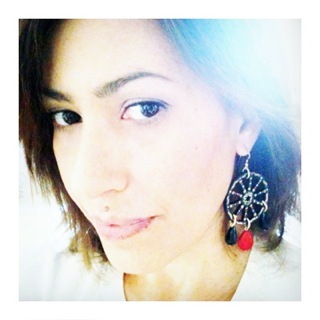 My name is Alessandra, I come from Sicily but I live – because of love – in Emilia Romagna. This blog is my personal playground where I post my favourite recipes, places, mood and food. I love to travel and… eat raspberries, wear striped shirts and my red and white polka dot scarf. Why “I wanted to be a chef?”. Well, sometimes when I’m in the kitchen I think that yes..maybe (? )…I wanted to be a chef! Text and photos on this site are protected by copyright law n. 633/1941 and subsequent amendments. The total or partial reproduction of images and texts is prohibited without my prior written permission.